From Tallulah Bankhead to Joan Crawford to the Kennedys and Madonna, ultimate insider Liz Smith has hobnobbed, air-kissed, and lunched with just about everybody who's been anybody over the last half-century - and then rushed to tell the world all about it. Now, in this candid, down-to-earth autobiography, she tells all about herself, and does it with the kind of style and warmth that has made her one of the most widely read columnists in history. Liz Smith wasn't always famous, and in Natural Blonde she reveals how a young woman from rural Texas came to New York hell-bent on making something of her life. From her salad days as a small-time reporter and proofreader to her triumphs at the Daily News, Newsday, the New York Post and her 1995 Emmy for reporting, Liz tells what it is really like to be seen and heard by millions of people every day. One of the most quoted people of our time, she offers a rare, private peek into the real person behind the witty quips and media coverage. 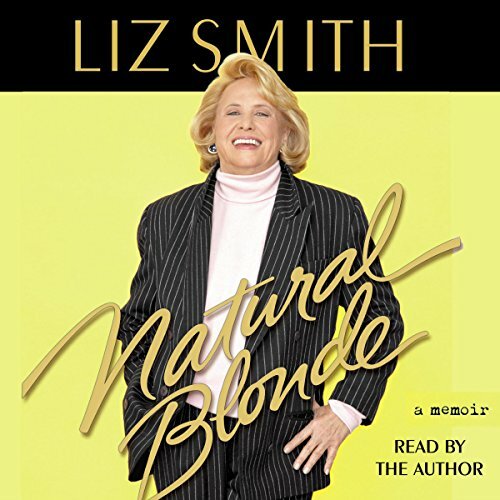 Certainly one of the most eagerly anticipated autobiographies in years, Natural Blonde will give Liz Smith readers the item they've been waiting for - the ultimate inside scoop from the "Grande Dame of Dish".